From their website: "Owned and operated by Executive Chef Serge Gorges, the Bistro is a unique and innovative restaurant, open six days a week for both lunch and dinner. Attire is casual, and parking is ample. We are available for parties, catering, bar and bat mitzvahs, and other special events. Spectacular French and American cuisine, made unforgettable by the skilled hand of a great master. The choicest of dry aged steaks and meats, cut and aged to perfection by one of the world's most skilled French butchers. This is the Bistro Grill experience-within a setting of casual elegance, crowned by expert and attentive service. Incredible meals, served by staff whose warmth and grace insure the highest degree of comfort and relaxation. Come and enjoy the ultimate French experience at the Bistro Grill. The unforgettable is at your fingertips. 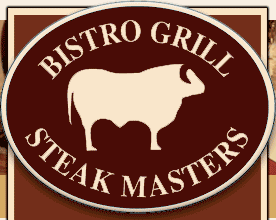 Just minutes from Manhattan, the Bistro Grill is a strictly Glatt restaurant located in Great Neck, New York. Reservations are suggested but not required. "